At Craft Renovations, we guarantee your renovation will be finished on time and on budget. We will agree a project completion date, and pay you for every day that it is late. We guarantee the quality of all of our workmanship for 12 months. This includes the work undertaken by our subcontractors on your renovation project. If you are unhappy with the quality of any of our work, I personally promise to put it right. 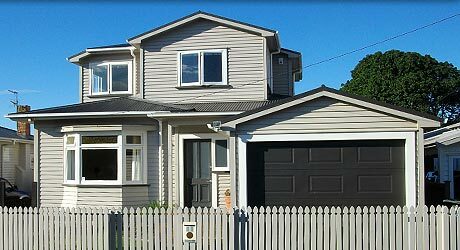 As a member of the Certified Builders Association, our clients can apply to BuiltIn New Zealand Ltd for a ten-year written guarantee when undertaking renovations, alterations or additions. The most comprehensive independent guarantee in the business, it gives the home owner additional peace of mind in the quality and completion of the project. We guarantee we will only use trade-qualified, licensed builders on your renovation. Our team are friendly and considerate, and will make every effort to make the renovation an enjoyable experience. We guarantee to keep your home as clean as possible during the renovation. We use a toughened, purpose-made cardboard to protect your floors, and dust sheets for your furniture. We will clean up at the end of each day, and arrange for your home to be professionally cleaned on completion of the project. To find out more, get a quote or arrange a free, no obligation one hour consultation to talk about your home renovation, contact Barrie here or call us on 09 215 1333 or 021 719 224.